These interconnected stories share characters, a Texas setting, imagery, and/or style. Many link directly through plot. Reminiscent of a story cycle by a single author, the fictional pieces in this composite anthology by five of the best writers in the Lone Star State resonate with meaning built up across, as well as within, the individual works. The result is a new and unique kind of reading experience. 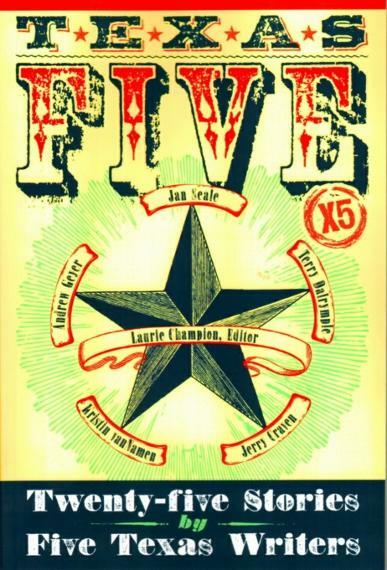 Texas 5X5 was named a finalist for the Foreword Magazine Book of the Year Award in the Short Stories category. Andrew Geyer's short story "Fingers" won the 2015 Spur Award for Best Short Fiction from the Western Writers of America. Jerry Craven's short story "Stone Salvation Barn" won the 2013 Frank O'Connor Award from descant. Terry Dalrymple's short-short "The Boy" was the 2011 Ascent Aspirations flash fiction winner. Andrew Geyer's short story "Second Coming" won the 2004 Spur Award for Best Short Fiction from the Western Writers of America. These stories present genuine truths about human nature. They tell of love, rage, grief, laughter, loneliness, and a host of other powerful emotions. Nothing is exaggerated. We are presented with true insights about ourselves and the world around us. But they don't give us answers; instead, they raise questions. The really important questions in our lives don't have answers—in fact, most questions worth asking don't have solid answers—questions about topics such as God, love, death, birth, art, shame, fear, abandonment. Unlike commercial art, quality literature inspires us to question, to ponder, to sit quietly and think about our own lives, our own loves, our own grief, our own laughter, our own loneliness, our own hopes for small miracles.